We were in need of some Friday humour and thank god for the release of the official trailer for War on Everyone providing the giggles. Director McDonagh, previously wrote and directed the acclaimed drama Calvary, starring Brendan Gleeson, and offbeat comedy The Guard, also starring Gleeson alongside Don Cheadle, which became a worldwide sleeper hit and from the trailer alone we reckon this is going to be an even bigger hit. 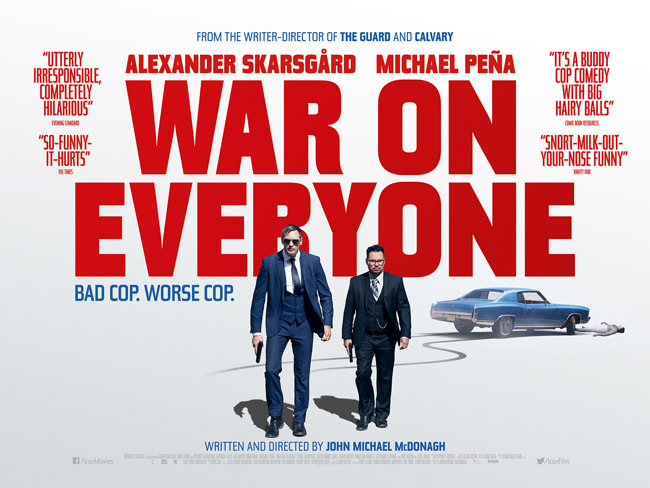 War on Everyone is released on October 7.